One might assume that on your wedding day there is no such thing as being a little too extra. And one would be totally right. However the below jewelry has a more minimal bride-to-be in mind. She’s looking for simple wedding jewelry that’s pretty and impactful but doesn’t even come close to stealing the thunder. Instead, she favors the kind of pieces that are cohesive in her overall look, can be worn well after her big day, and, naturally, feel special. We think we found 20 such examples. With the anti-glittery bride in mind, we went hunting for bracelets, earrings, necklaces, and rings that err on the delicate side. They feature interesting uses of texture and shape, and any sign of sparkle is more of a fleck than a flash. Don't get us wrong: We appreciate mega-watt shine, but that's merely another story. Keep scrolling to shop the best in simple wedding jewelry. Make a mini statement by way of mixed metals. Keep things a bit unexpected with some shiny black bling. Delicate and dangly is a winning combination. The perfect complement to a neckline that just needs a little extra something. So much cooler than typical pearl studs. No, we're definitely not over chokers. 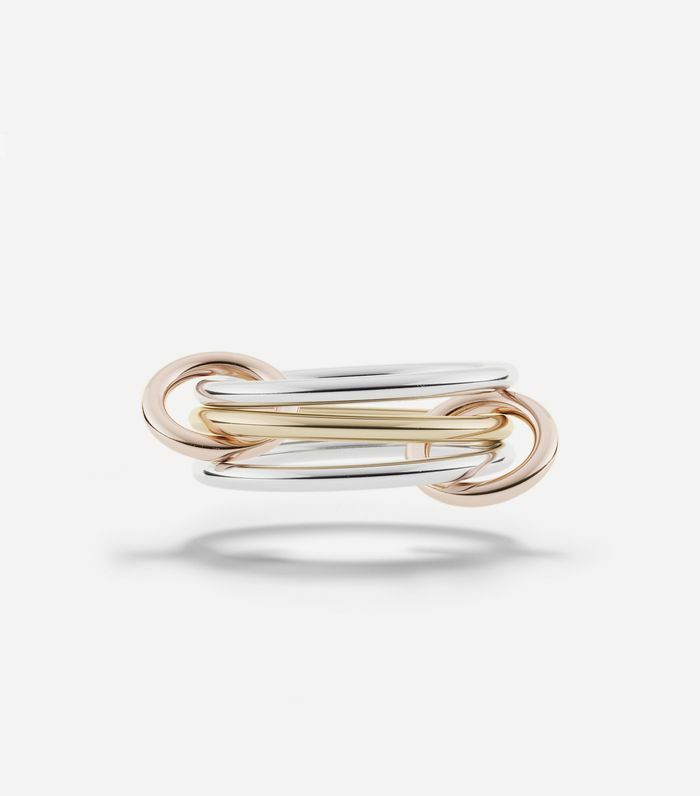 Proof that jewelry doesn't need to be flashy to leave a memorable effect. These are the kind of earring you'll wear every day leading up to and following the main event. One pearl. One diamond. That's all. A nice thin bangle with just the smallest bit of shine. Art Deco without going over the top. Skip diamonds and opt for a quartz crystal. Perhaps the light-reflecting finish of these earrings are more your speed. This design is a head-turner for its unique shape. A colorful hint of shine feels more unexpected than something clear. A solid contender for an unconventional wedding band. Simple studs will never steer you wrong. Still not finding what you're looking for? The good news is you don't have to decide whether you're totally pro- or anti-flash—there are tons of options in between to choose from.